PITTCH is a Great British brand offering Great British design in the form of vibrant, exceptionally styled luxury merino wool socks of the highest quality and fit for all seasons. PITTCH’s creator, Elisabeth Braddock, has used 25 years of experience in the fashion industry to design the most comfortable pair of socks your feet have experienced. So here they are in all their colourful glory, ready to take you up hills, across fields, down mountains; on foot, in the saddle, on two wheels; on court, on the pitch or the side lines; above the clouds or under your city desk. All PITTCH socks are manufactured in the United Kingdom and Europe in the highest quality mills and factories we could find, delivering excellence in each and every colourful stitch. Our socks are a blend of technical know-how, luxury materials and impeccable style coming together in perfect balance to deliver comfort, warmth and durability whilst hitting all the high notes of style. Discover the warmth and comfort of PITTCH merino wool socks, beautifully designed and popping with colour, to carry you effortlessly through every day, every adventure, every season, never failing to perform no matter what life throws at them. 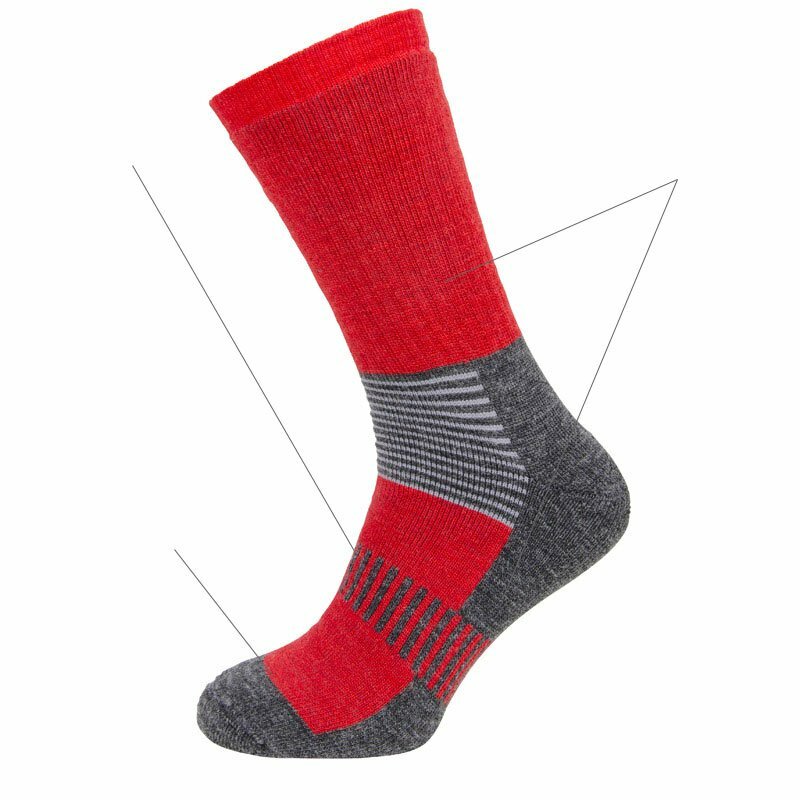 Merino wool is a super soft lightweight fibre that naturally keeps your feet warm in the cold and cool in the heat. Its anti-bacterial and moisture control qualities keep your feet dry and comfortable day in, day out, and that’s fine, because they are odour free even after a couple of days wear. When you eventually concede that they could be a little fresher, they are machine washable, the durable knit ensuring that they bounce back effortlessly, ready to carry you through your day, whatever you have in store. Not only is Merino wool delightfully soft underfoot, it is also itch free, so even the most sensitive toes will enjoy the comfort of PITTCH socks all day long. Enjoy your walk with PITTCH, Elisabeth, Owner and Creator, PITTCH. 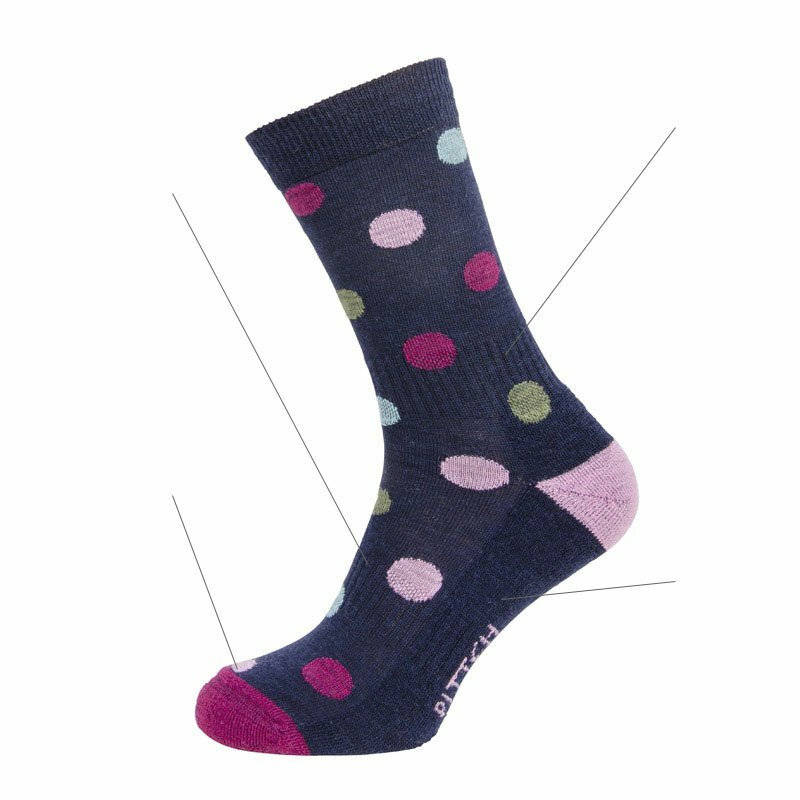 Our sock ranges incorporate multiple technical features carefully chosen to ensure each range delivers comfort, practicality and durability, without compromising the look and vibrant colours of the Merino wool.